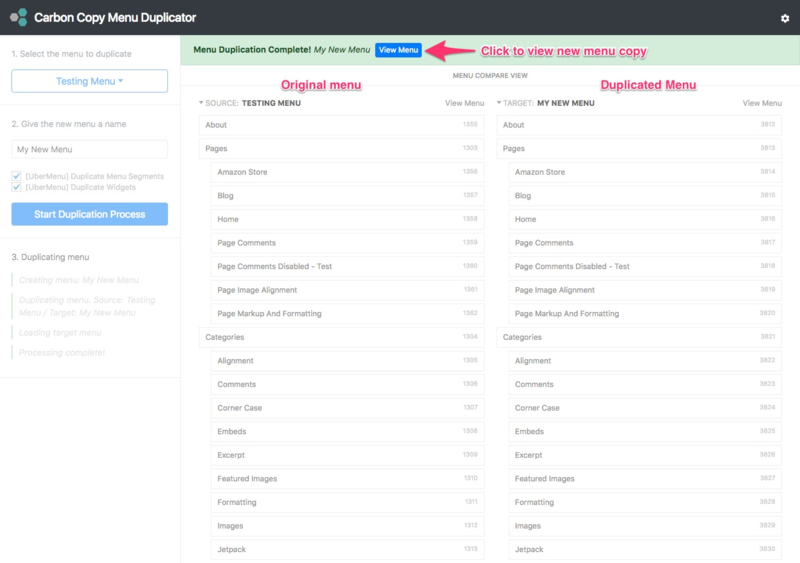 This assumes you have already created a WordPress menu in Appearance > Menus. 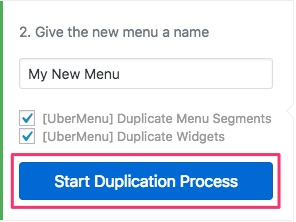 If you haven’t first create a menu by visiting Appearance > Menus and clicking “Create new menu”. Click the Copy Menu button when viewing the menu you want to copy. When you select a menu, a preview will load beside it so you can see exactly what you’ll be copying – the Source menu. 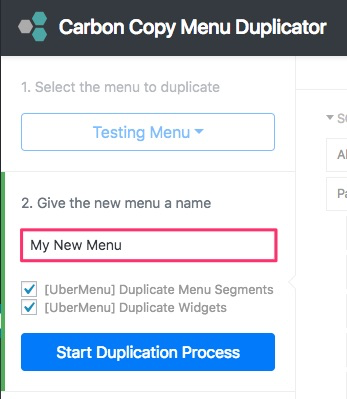 The Duplicator will automatically give your new menu a name, by appending “Copy” to the end of the source menu name, and a digit if there is already a “Copy”. You can change this name to whatever you want. 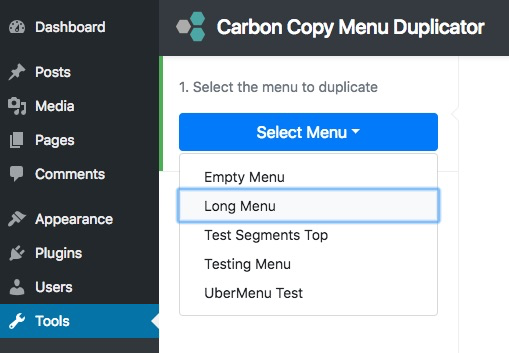 Click the Start Duplication Process button to start copying the source menu. It’s important not to close the window while the menu is being copied. As the process runs, you’ll see status updates in the bottom left, and a notice will appear across the top of the screen. 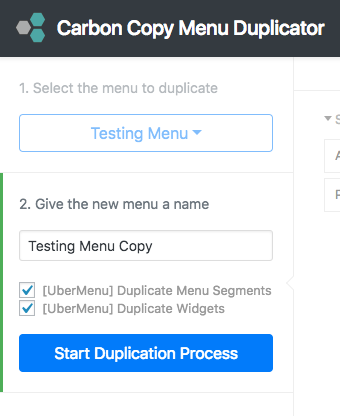 When the duplication is complete, a status message will appear at the top of the app, and a preview of the duplicated menu will appear on the right for comparison. You can click the View Menu button to go to the Appearance > Menus screen and view your new menu. Congratulations! 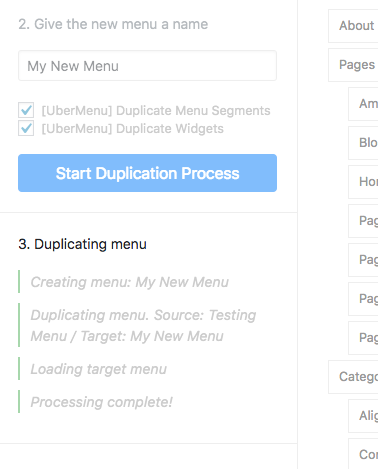 Your menu duplication is complete.